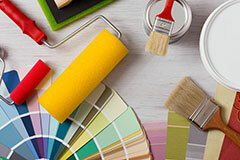 A paint job has the power to totally transform the look of your house in less time and for less money. We are offering a detail cleaning after any job, assuring our qulity and a professional inspection after we complete the job. No task is too big or too small, hire a handyman professional for all your projects including: Home inspection, repairs - appliances and faucet installation, light fixture replacemnt and interior maintance. Our service is not just a routine cleaning. We offer detailed service to maintain your home a sanitized and pleasant environment. We strive to meet your needs and focus on areas that other companies ovelook to clean. Happy Home LLC is a cleaning company that offers a wide range of services to the people of Greer, SC, Greenville County SC, Spartanburg County SC. If you are looking for a credible company that can provide you with the cleaning services you need, then look no further because we are here to meet all your requirements. 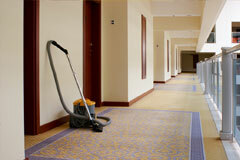 We offer exceptional carpet cleaning services that you cannot find anywhere else. 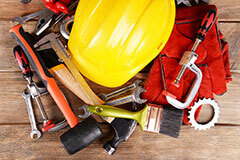 Our services are available to both residential and commercial customers. We have a dedicated team that is fully qualified to handle every cleaning need you have. We do window cleaning, pressure washing, carpet and rug cleaning, and general cleaning among other services. You can trust us because we have more than 10 years of hands-on experience in the industry. Since 2006, we have been working hard and we are now proud to say that we have earned the trust of both residential and commercial property owners. Our staff is well-trained and skilled and is able to handle any cleaning job that you have for them. We are proud not only because we have the experience, but also because we are fully insured, licensed, bonded, and certified to provide cleaning services in this region. Our services also come at very affordable rates and we always guarantee that you will get value for your money. We always go out of our way to make sure that our clients are satisfied with our services. We have the best equipment available on the market that helps us handle every cleaning task in a timely and professionals manner. We also use environmentally-friendly products that will not harm your health in any way. Contact us today at (864) 386-9401 to ask us your questions about our services and get a free estimate. We are looking forward to hearing from you!